Teflon lining and Teflon parts inside valve for process gases. Very smooth surface of the coating layer. Continuous use to 120°C in most applications. The coating layer is mechanically tough with excellent adhesion and abrasion resistance. The coating layer is inert and will not absorb water or chemicals. Fully opening for improved conductance. 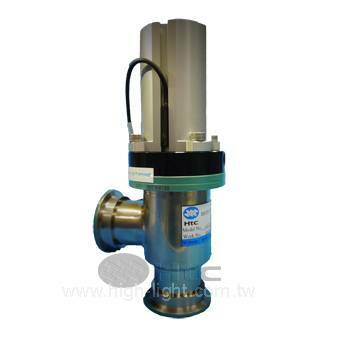 Position sensors can be installed on the cylinder for valve open/close indication. FFKM O-ring available upon request. Manual operating or fail safe operating (closes in the event of air pressure loss) available upon request. 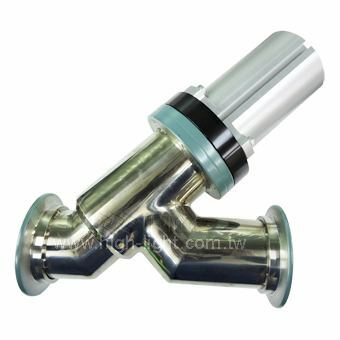 Teflon lining vacuum valve(TLVV Teflon Lining Vacuum Valve) is a fully engineered device of stainless steel vacuum component with its durable and highly chemical resistant coating. 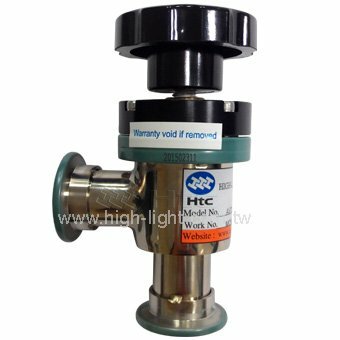 The Teflon (PermaShield Coating) lining is available in a wide range of Htc’s standard vacuum valves from 1”(25)valve port diameter to 6”(150)port diameter. With more options to get the job done than any other vacuum parts manufacturer and the ability to produce customized design valves. TLVV can meet most of your corrosive fume exhaust duct and vent pipe requirements. TLVV can be applied in the following industries：mining, petrochemical, plastic industries, gas refining, power plant, gas manufacture, electronic industries, pharmaceutical, semiconductor industries, optoelectronic industries, solar cell industries etc. TLVV are usually installed between the vacuum pump and scrubber of exhaust piping line, customers must clarify the process gases and check the chemical resistance legend before installation. Higher volume or custom cold traps available upon request, please send your inquiry to ec@high-light.com.tw thank you.